Consumers assigned a Home Care Package will be allocated a case manager who will work with you to develop a care plan to meet your assessed needs and goals. Within government guidelines, you can choose to spend your package funds on support, equipment, and services that relate to your health, well being and care. Home Care Packages are all about tailoring care to suit the needs of the consumer. We know that no two people are the same and we look forward to tailoring a care plan to suit your individual needs. Veterans’ Home Care is a program funded by Department of Veterans’ Affairs for eligible servicemen and women. Like other home assistance packages, Veterans’ Home Care is designed to help consumers stay living within their community, independently. The Department of Veterans’ Affairs assesses consumer for their care needs, and an approved service provider provides the approved services. We are happy to work in conjunction with Department of Veterans’ Affairs to assist our servicemen and women. Not all service providers are able to provide reliable staff in all areas. We are incredibly fortunate to have dedicated staff in the cities and small towns we serve. Sometimes our staff are brokered out by other services when they are unable to use their own staff with UPA Orange/Molong being the preferred agency in many instances. This is one of the ways we work within the community to help ensure you get the best care you can, when it suits you. 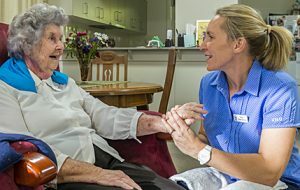 The Short-Term Restorative Care Programme was established in 2015 after the Government announced funding for flexible care initiatives. The STRC is designed to provide short term, intensive care and assistance to consumers that is time limited, goal oriented and multidisciplinary services to assist consumers to improve their independence and minimise their need for ongoing services. The case manager works closely with each consumer to develop a plan of services tailored to improve their condition. Base line information is taken at initial assessment and then throughout the program to review the services and interventions to meet the end goal. 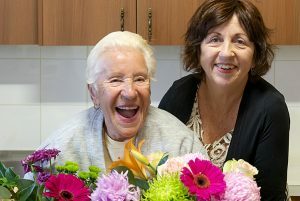 The Short-Term Restorative Care Programme is available to people at living at home who have experienced a decrease in their capacity to maintain their independence. The suite of services provided to improve their functional ability can be provided at home, a residential setting or a combination of both. Our experienced staff at UPA Orange/Molong will work with you and our allied health team to design the most appropriate plan to meet you needs.